Next Tuesday, Feb. 19 at 7p.m., the CILNCF will host guest speaker Nancy Wright. Wright is a local, experienced, special needs attorney, who will be sharing free information with young adults with special needs and/or their families regarding guardianship issues. 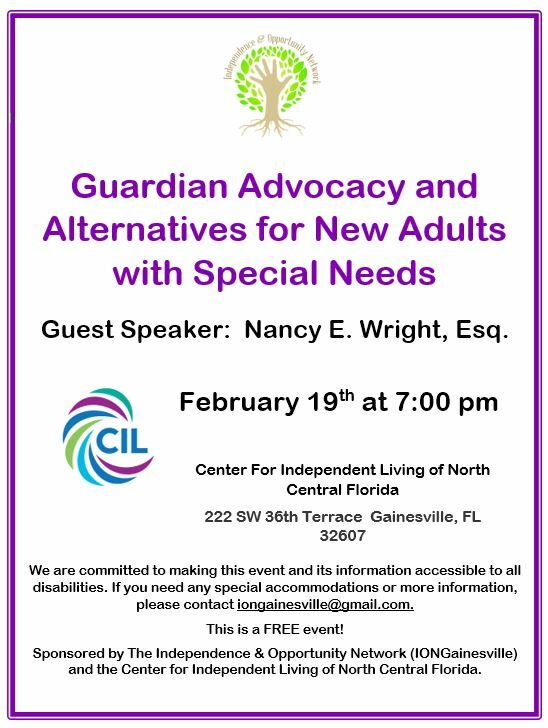 Nancy will explain the purpose of guardian advocacy and other alternatives families might utilize to assist or make important life decisions for their loved one with special needs.